Can I use the license on multiple PCs? Q: Can I use the license on multiple PCs? A: The license can be used on at most two PCs. If you need to be authorized to use Any DVD Cloner products on more than 2 computers, We would love to provide generous discount to you by contacting us support [at] dvdsmith.com (replace [at] as @ before sending message) for ordering new codes. What's more, we also provide generouse discount for users who like to upgrade current software to more advanced one. 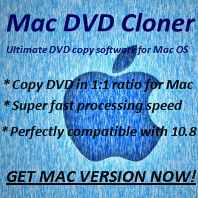 For example, user can upgrade Any DVD Cloner to Any DVD Cloner Platinum with only 9.95 USD and 30 USD is saved!